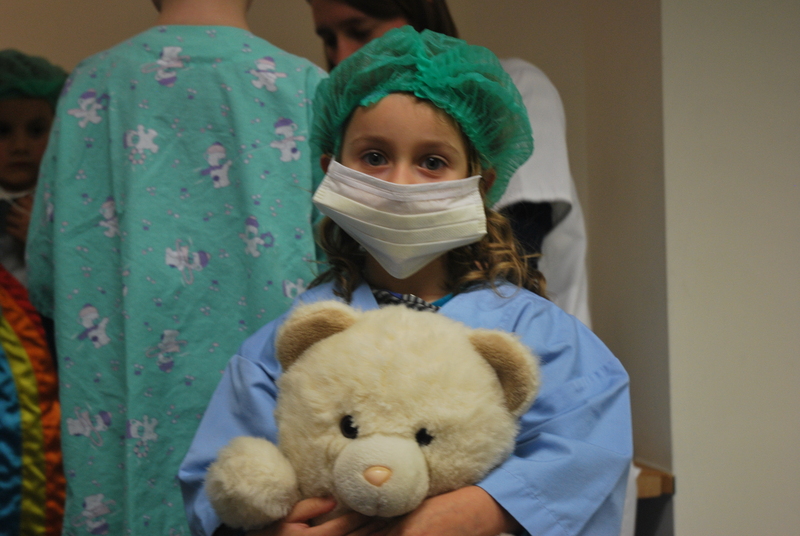 Teddy Bear Hospital is a project allowing young children to meet the medical world. Our main goal is to help them overcome their fear of certain medical procedures by allowing them to be a part of a medical team. Our goal is to take away their anxiety for doctors or for a hospital environment. The children take their teddy bear, but it seems to be wounded. First year medical students take care of the teddy bears, together with the help of the children. Sometimes there is even a visit to a Red Cross Ambulance too! Everyone is welcome as a volunteer, absolutely no thorough medical knowledge is required. For students, this is the ideal opportunity to improve their interaction with children in a medical setting; but above all, the enthusiasm, the learning curiosity and creativity of the children give an immense good feeling afterwards.